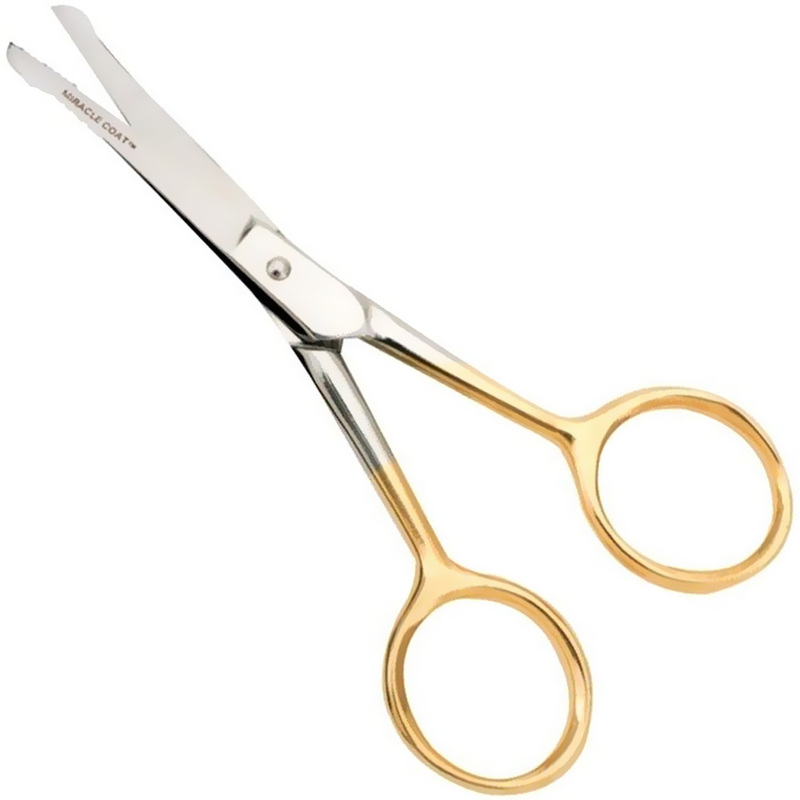 Miracle Coat Ball Tipped Shears are premium, stainless steel pet grooming shears. These shears are ice tempered to give them a long lasting, surgically sharp edge. The rounded tips, however, make them safe to use around sensitive areas, such as your pet's eyes or ears. With adjustable tension and a comfortable light weight design, grooming your pet has never been easier. For trimming around eyes and ears. Trimming Pads.